Theta Token (THETA) is a cryptocurrency token generated on the Ethereum blockchain. The total supply of Theta Token that will ever be issued is 1.00 Billion tokens, and the current supply of THETA in circulation is 870.50 Million tokens. 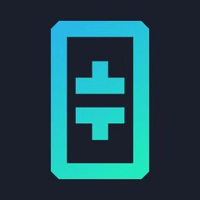 Current Theta Token price is $ 0.0988 moved up to 1.39% for the last 24 hours. All time high (ATH) price of Theta Token reached $ 0.294 on 30th May 2018 and fallen -66.3% from it. Theta Token's share of the entire cryptocurrency market is 0.05% with the market capitalization of $ 86.03 Million. Theta Token’s 24 trading volume is $ 2.37 Million. It is trading on 19 markets and 9 Exchanges . Find more details about Theta Token cryptocurrency at the official website and on the block explorer. Theta Token price Index provides the latest THETA price in US Dollars, BTC and ETH using an average from the world's leading crypto exchanges. The Theta Token to USD chart is designed for users to instantly see the changes that occur on the market and predicts what will come next. The project introduce the Theta blockchain to address various challenges the video streaming industry faces today. First, Theta tokens are used as an incentive to encourage individual users to share their redundant memory and bandwidth resources as caching nodes for video streams. This improves the quality of stream delivery and solves the “last-mile” delivery problem, the main bottleneck for traditional stream delivery pipelines, especially for high resolution high bitrate 360° virtual reality (VR) streams. Second, with sufficient amount of caching nodes, the majority of viewers will pull streams from peering caching nodes. This significantly reduces content delivery network (CDN) bandwidth costs, which is a major concern for video streaming sites. Lastly, the Theta network greatly improves the streaming market efficiency by streamlining the video delivery process. For example, advertisers can target end viewers at a lower cost and reward influencers more transparently.